The Cross (X) Code Challenge is a national level Talent ID program. Athletes who show an aptitude for playing the Game an elite level will be place on an accelerated pathway to the Singapore Women's High Performance Teams. 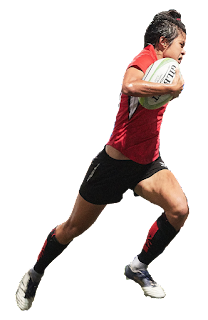 With Rugby Sevens featured in the 2019 SEA Games, the search is on for talented athletes with dreams of representing Singapore.